This is a quick, easy idea to add a little something extra to your salad. You can make these croutons with all types of bread. I usually use a couple slices of regular 100% whole wheat sandwich bread since that seems to be what we always have on hand. They really give a fresh kick to the regular, traditional salad. Make a batch and store what is left in a zip lock for another nights dinner. They stay tasting fresh for about 5 days. Spread torn bread in single layer on jelly roll pan. Sprinkle bread evenly with parsley, garlic powder and basil. (Add any other of your favorite seasonings!) Drizzle with olive oil. Bake at 350 for about 15 minutes. Toss and continue baking until crispy. 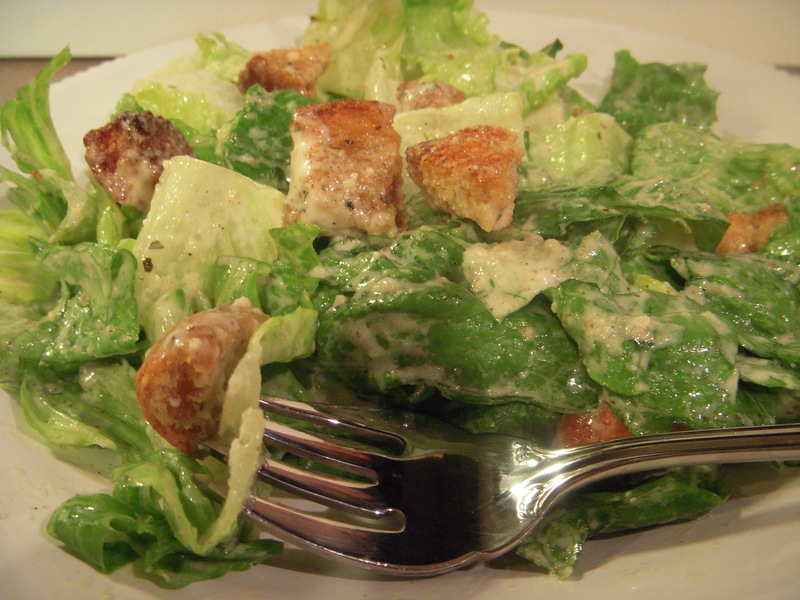 **Try these croutons on a caesar salad using romaine lettuce, your favorite kind of caesar dressing, black pepper, parmesan cheese and homemande croutons!! !